When I saw that the Screen Actors Guild nominations had been announced, there were a lot of names I didn't even bother looking for, because I'm so used to award show snubs. However, the SAG Awards still have the potential to surprise me, because there was Rami Malek, nominated for Outstanding Performance by a Male Actor in a Drama Series for his work on Mr. Robot. Be-still my beating heart! You got that one very right, SAG voters. Just to be clear, it wasn't that I was expecting not to find Malek's name on the list because he doesn't deserve it; au contraire, he does. It's just that after so many years of knowing that this would be the year that deserving shows like Broad City would finally be recognized instead of heaping more accolades on Modern Family and The Big Bang Theory, or the year that we finally bow down to Tatiana Maslany's mind-blowing work on Orphan Black, only to get burned — thank goodness, Maslany finally got an Emmy nom this year — I've almost stopped hoping for people and shows to get their due. But that's on me, and it all that changes right now. Rami Malek's nomination for the role of Elliot on Mr. Robot is a game-changer. It's going to bring way more attention to the critically-lauded but not hugely-watched show, which could mean big things for both Malek and Mr. Robot in the future. As of right now, it's the show your coolest friend watches and tells you you have to catch up on, and you promise you'll make time for it and maybe never do. But, once the friend recommending it is the SAG Nominating Committee, that carries a little more weight. Enough to maybe whisper in their old pal Emmys' ear and snake this show some nominations next year? Who can say? All I know is that every new person who watches Mr. Robot gives this show more credibility, and, since credibility seems to be what it takes to wrangle a big-time nomination for a Golden Globe or an Emmy, we just took a step down a path that's very exciting for this show and its fans. So listen to the Screen Actors Guild, kids. Check out Mr. Robot, because you have no idea what you're missing out on. 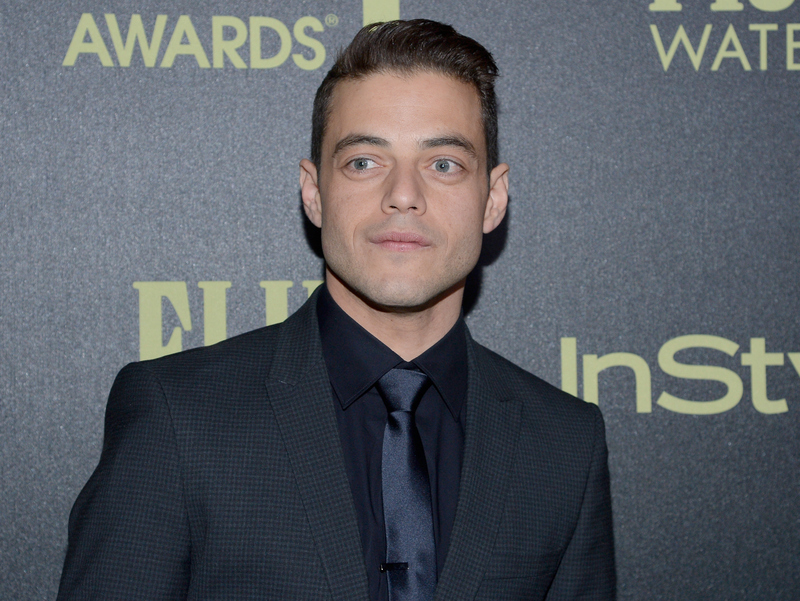 Congratulations, Rami Malek, and fingers crossed (and hood up) for you when the awards air on Jan. 30, 2016.